The world of internet has shrunk mostly to a small smartphone screen nowadays, which forces every small and big industry in the market to develop a mobile friendly version of their website. For the technology geeks, it is just an everyday job. However, for a layman, there are free services and apps to come neck to neck in the competition. Check out some latest website developing apps below. With an intuitive and user friendly GUI, Mobify is the best choice for anyone to create a mobile friendly website in minutes. The free version is quite generous and includes a custom domain option for the newbies. If you operate an eCommerce store, the experience will be even better. 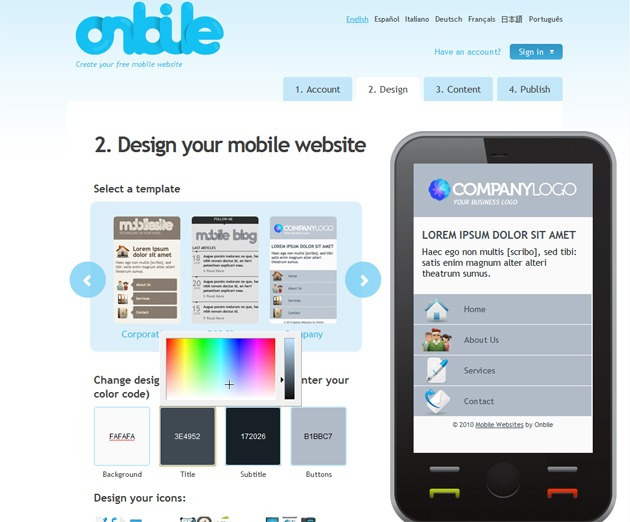 In five minutes or less, Onbile lets you customize your website into a mobile version. With the rapid development of your mobile friendly website, Onbile gives you an intuitive user interface and a custom generated script in order to be posted on the index page just so that when the users visit the website, they are directed towards the mobile version immediately. Along with all these features, there are 13 different templates to be chosen from. If you use WordPress platform for publishing your website, then you are in luck as this app is master in developing a mobile friendly version of your WordPress website. MobilePress is easy to use, user friendly WordPress plugin to automatically generate a mobile version. 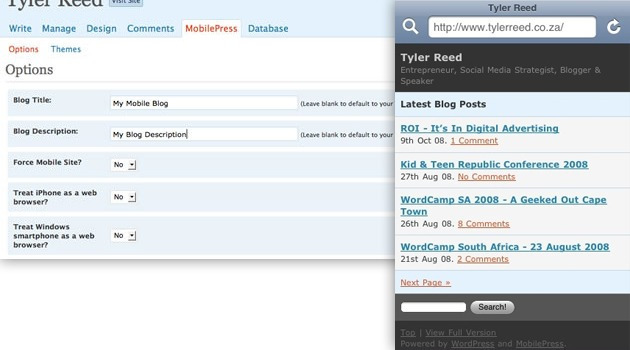 WordPress Mobile Edition is just another way to get it done. Mippin Mobilizer takes minutes to turn your website into a mobile version. All you need to do is enter your website’s URL, configure a few options, request for an account, add some code and you are done. A live preview on the right hand side will keep you updated with the progression of the website.